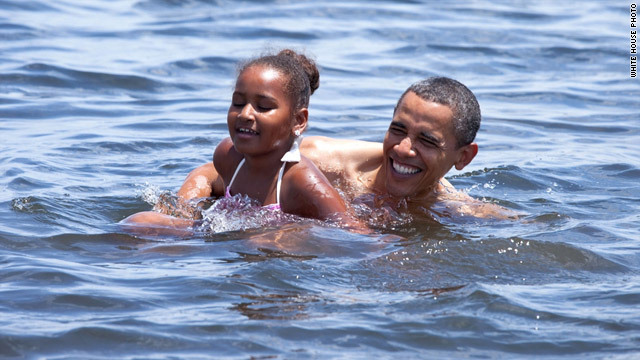 white house releases uncorroborated photo allegedly showing president obama; daughter "swimming in the gulf of mexico"
(CNN) -- The one really big question hanging over President Obama's weekend vacation to Panama City, Florida, now has an answer. Will he or won't he dive into the water to send a message that the Gulf Coast is back? 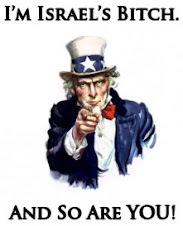 The answer: He will, and sooner than expected. "I think we're going to go tomorrow and as I just said Ed, I'm not going to let you guys take a picture of me with my shirt off," Obama jokingly told CNN Saturday. "You guys will tease me just like last time. I was on the front page ... People commenting." But just hours later, a photo was published on the White House Flickr page showing a smiling President Obama and his daughter Sasha taking a dip in the Gulf waters off Alligator Point in Panama City Beach, Florida. congresswoman diane watson: michael jackson "now resides in eastra"
sunday matinée john carpenter's "they live"